Due to kindness of a fellow FFL dealer (thank you, Greg from K&E), I was able to lay my hands on the new Ruger 22/45 "Lite", and at a wholesale price no less. These are very hard to find - I've seen one at Cabelas for $425 but could not bring myself to shell out what essentially is a 30% mark-up. It is light. The barrel is surrounded by an aluminum shroud, and it looks like inside the shroud is at least partially hollow. The frame is polymer. So the total weight turns out to be only 23 oz, compared to 42 oz of MKIII Target model. It comes with fully adjustable target sights, and a scope mount. The sights are usable with the mount on (but obviously, not with the rings installed). It is accurate. Not supremely accurate like its MKIII sibling (which in my case shoots most ammunition that I use in under 1" 5-shot groups at 25yd), but still very accurate, and, given the weight, might even be more accurate in practical offhand shooting. 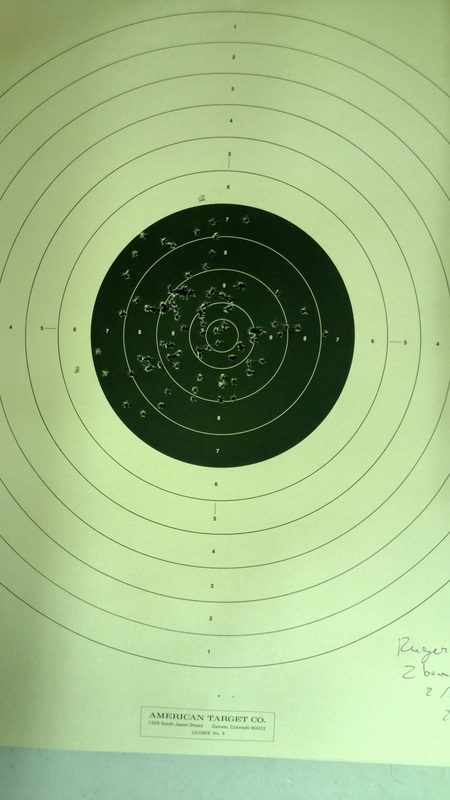 I shot it twice on two different days, both times from the scope and from the rest, shooting 5-shot groups. The first day was mostly spent eliminating ammunition that was not very accurate. The Lite is a lot more capricious when it comes to accuracy than MKIII. Eventually I ended up with a few brands that produced decent groups. The groups were as follows. However, while shooting Lapua I discovered that the scope went loose, so the last string is not entirely trustworthy. 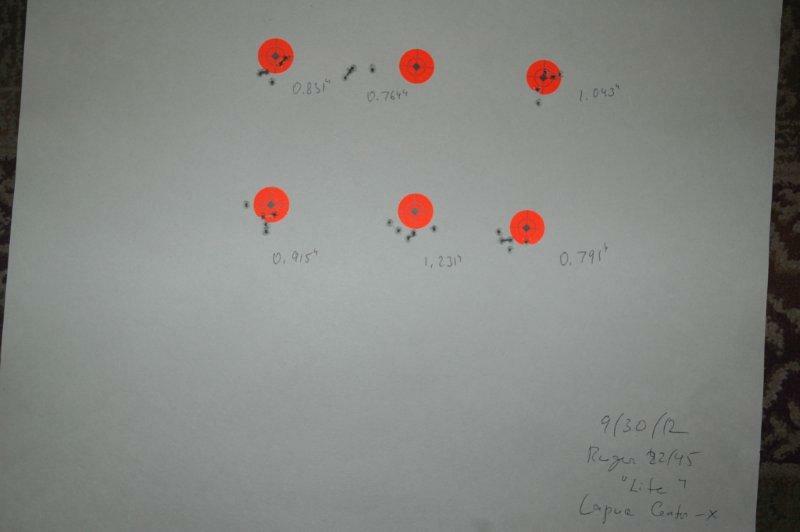 A couple of weeks later I was back at the range, this time shooting Lapua Center X exclusively. Unfortunately, the scope came off once again towards the end of the string, which probably explains the 1.2" group. It is hard to imagine, but 1.5" is standard accuracy guarantee of a Les Baer - at 5x the price. The barrel is threaded for a suppressor. 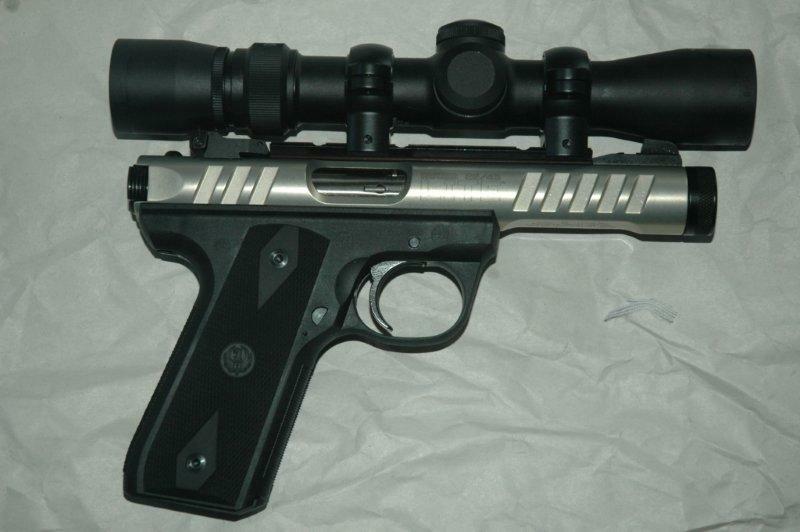 Since we are now allowed suppressors in WA, this is a nice option to have. Scope rail is screwed in using undersized steel screws into aluminum shroud. This is the worst feature of this pistol. Because it is aluminum and the screws are steel, it is very easy to strip the threads. Worse, the screws are short and only engage approximately one third to one half of the threading in the holes. In my case the scope shook off white accuracy testing the pistol, and in the process damaged the threads. The fix on the Ruger side would have been straightforward - the screws are simply too short, they do not go even half of the distance of the available threading in holes. Supplying longer screws would be a very cheap solution to this problem. Providing steel inserts for the mounting holes - along with the bigger screws - would be a more expensive, but better overall solution. If you have not installed the scope yet, get slightly longer screws and use Loctite to secure them. The trigger is stiff. Mine clocked at 5.5lb, compared with 3.5lb MKIII trigger. After firing a couple hundred rounds my hand started shaking and the groups opened. It is fairly difficult to disassemble. 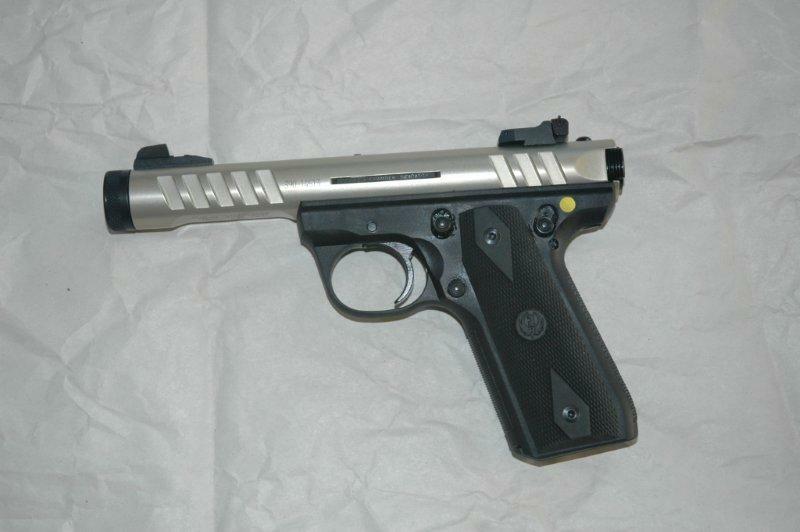 I have posted a tutorial on Ruger disassembly here: HowToFieldStripARuger.aspx. Following the steps assiduously is essential, as there are several manipulations with the magazine, for example, which, if not carried out exactly during the reassembly, will result in a pistol that appears correctly assembled, but would not cycle. It is extremely hard to buy. I have not once seen it at the distributors since it was released. I have replaced the trigger, sear, and the hammer with Volquartsen accurizing kit (Midway product page). What a world of difference did this make! The trigger is now 2.5lb, and very crisp. Because the gun is so light, the hand can be completely relaxed when shooting it. This of course leads to better accuracy for longer periods of time. These are two boxes less approximately 10 rounds of CCI Standard Target that I shot today. The distance is 25 yards. 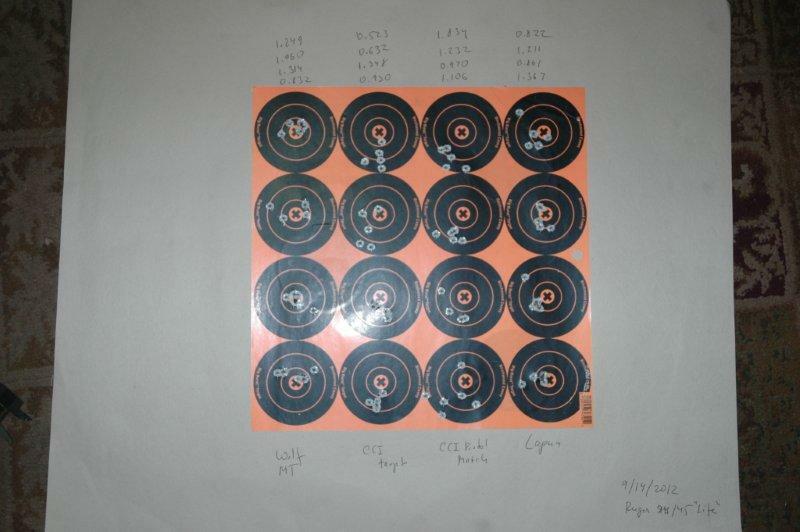 The target is the standard UIT 25yd pistol target. The shooting position was off hand, unsupported. I did start getting tired at the end so let the two rounds escape the black.